VATICAN CITY (CNS) — Clericalism is a danger to the Catholic Church not only because on a practical level it undermines the role of laity in society, but because theologically it “tends to diminish and undervalue the baptismal grace” of all believers, whether they are lay or clergy, Pope Francis said. “No one is baptized a priest or bishop,” the pope said in a letter to Cardinal Marc Ouellet, prefect of the Congregation for Bishops and president of the Pontifical Commission for Latin America. The fundamental consecration of all Christians occurs at baptism and is what unites all Christians in the call to holiness and witness. Pope Francis insisted that the discussion on the role of the laity must not fall into the trap of thinking “the committed layperson is one who works for the church or is involved in matters of the parish or diocese” — creating a “lay elite” — but must recognize that most Catholic laypeople live their Christian commitment in their homes, neighborhoods, cities and countries. “The faith we have received is a gift that came to us, in many cases, from our mothers and grandmothers. They were the living memory of Jesus Christ within our homes. It was in the silence of family life that most of us learned to pray, to love and to live the faith,” the pope wrote. 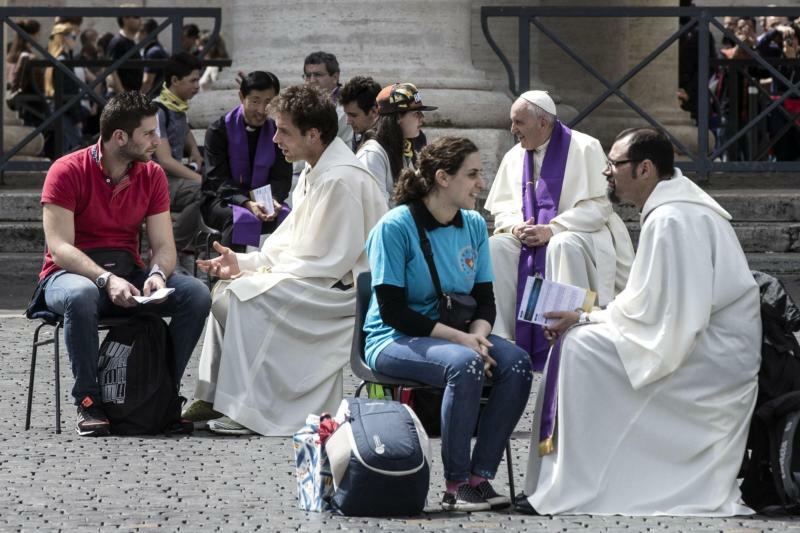 Ignoring the role the laity always have played in passing on the faith is dangerous, he said.